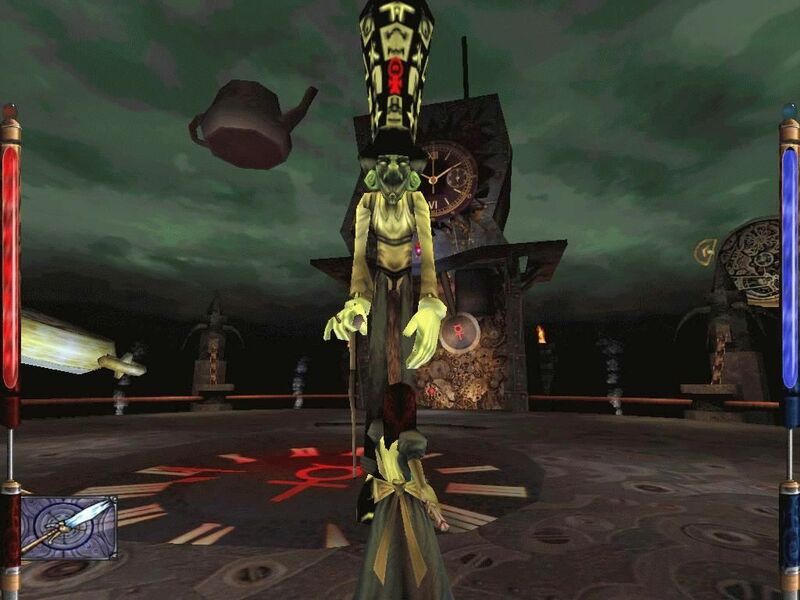 Embarrasingly, I never heard of American McGee until I heard of this game years ago. 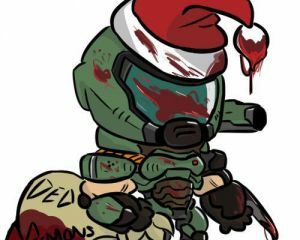 Heck, I didn't even know he was a level designer for id Software and worked in DOOM & Quake until some time ago! So with some spare cash at hand, I bought the sequel Alice: Madness Returns recently, and did some tinkering in it to get it to play the original game (somewhat) legally, and boy was it one of the most beautifully disgusting experience I'd ever had. 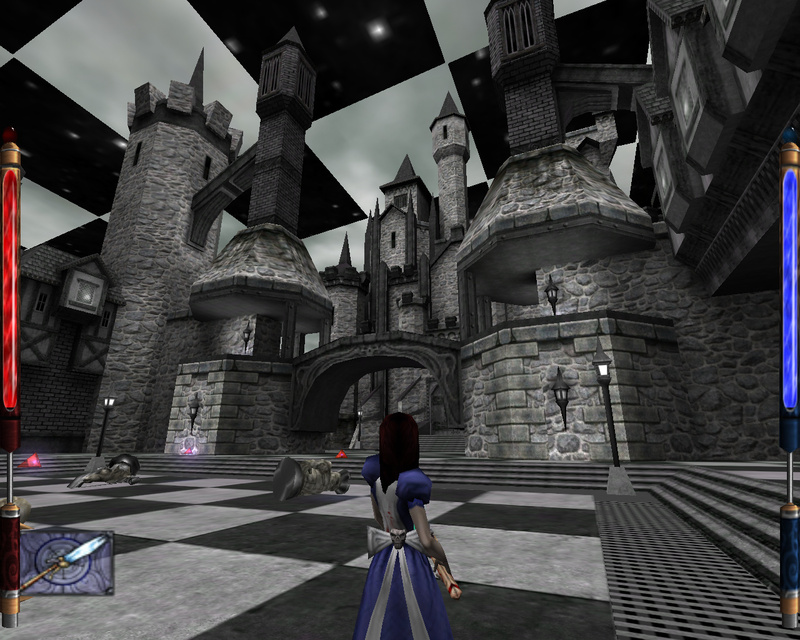 The game was actually an adaptational sequel to both Lewis Carroll's books Alice's Adventures in Wonderland, and Through the Looking-Glass, and What Alice Found There. After a house fire that prompted her to be awaken from her dream with her friends, Alice Liddell was the only survivor as her other family members died from the fire. For ten years, she suffered at a catatonic state while being institutionalized in Rutledge Asylum at London, filled with self-guilt and desperate for suicide, until the White Rabbit led her back to Wonderland, which had been radically corrupted by the armies of the Queen of Hearts, along with Alice's friends and enemies being twisted into servants for the Queen. As her world fell, so was theirs, and she must save their world to regain her sanity. As you know, this is darker and edgier take on both Alice and Wonderland. Alice is no longer the sweet child she was, and Wonderland is no longer the weird and beautiful fantasy world it was. 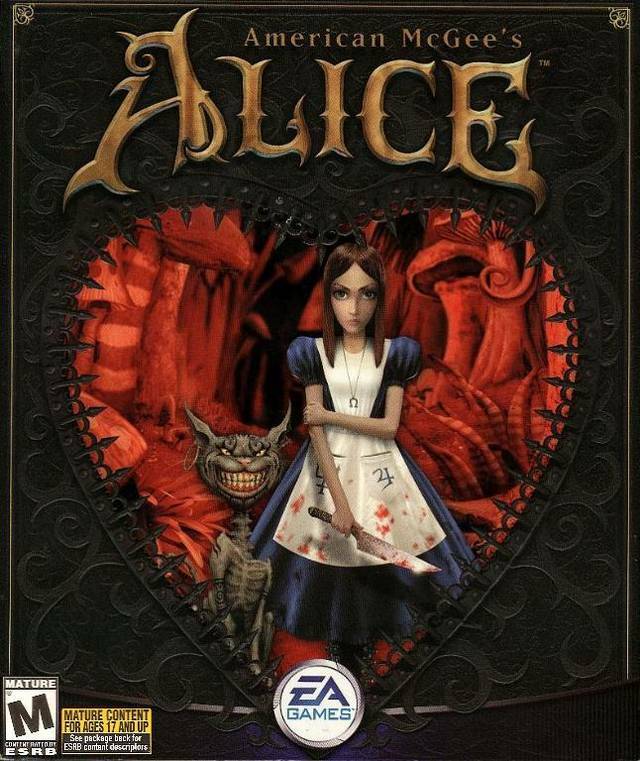 In this game, Alice is now an adult and much more cynical, while Wonderland became a twisted and macabre steampunk world filled with death and despair, and by God, what a twisted world it was. From the colourless and chesspiece-filled Pale Realm, to the deranged Mad Hatter's domain filled with mirrors and clockworks, every levels in this game are wonders to behold. One of the more surreal parts of Wonderland. 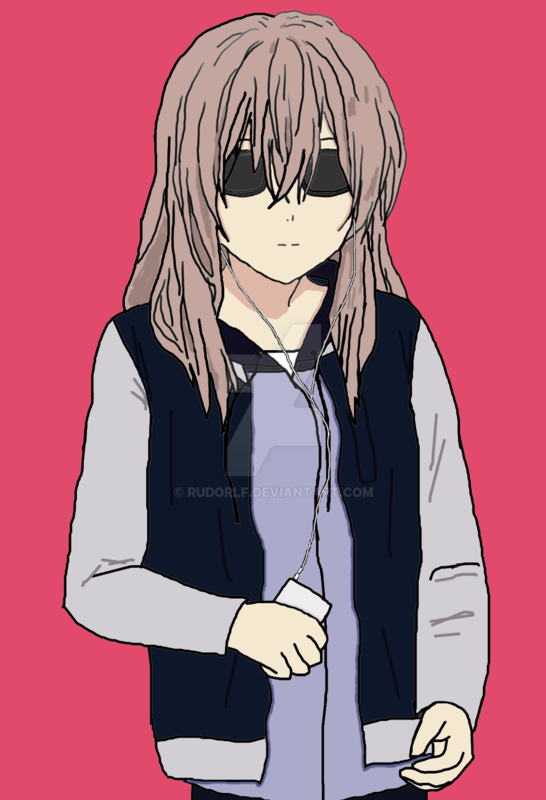 The characters are pretty cool in a twisted way too. The Cheshire Cat looks thinner than his previous popular incarnations, and his advices ranged from cryptic to pretty much useless and trolling. The Mad Hatter is no longer a friendly nutter midget, but a tall, intimidating psychopath who have no qualms squashing you with his feet. And the Dormouse? The less said about his fate here, the better. The soundtrack is also pretty stellar, as it was composed by ex-Nine Inch Nails member Chris Vrenna (I'm sensing a pattern here, also Marilyn Manson was once involved in it, but his influences remains). With grim, atmospheric tracks made by toy instruments, they too helped in making the insane fantasy world come alive. So far, my big issue about the game is its uninspired gameplay. For such a horror-inspired game, you'd expect the gameplay to be a standout, but alas, it's pretty much an average third-person platformer. The weapons are pretty neat, varying from the famed Vorpal blade to a Jabberwock eye staff, but in hindsight you'll only use some of them whenever they suits you. The Mad Hatter himself is certainly NOT pleased to see you, and even more so if you dared to play cards with him. The boss fights in general are pretty much your average arena boss fights. Some of them have particular weaknesses , some are said to be pretty easy to fight if you know your Wonderland lore, but for most of them, you basically shoot them until they are dead. Overall, despite being hampered by average gameplay, the deranged character designs and the twisted depiction of various locations in Wonderland make this a game you should check out for once if you haven't experienced it. And in my opinion, American McGee's Alice is certainly a fine (if non-canon) addition to Lewis Carroll's fairytale depiction.